8 out of 10 homeowners have expressed a preference that they would choose to buy the Ultraroof system over leading competitors, making it the consumer’s preferred tiled roof system. 8 out of 10 homeowners have expressed a preference that they would choose to buy the Ultraroof system over leading competitors*, making it the consumer’s preferred tiled roof system. The newly launched second-generation Ultraroof features exciting new technology, along with a range of innovative technical support services that will make Ultraroof the fitter’s favourite too. 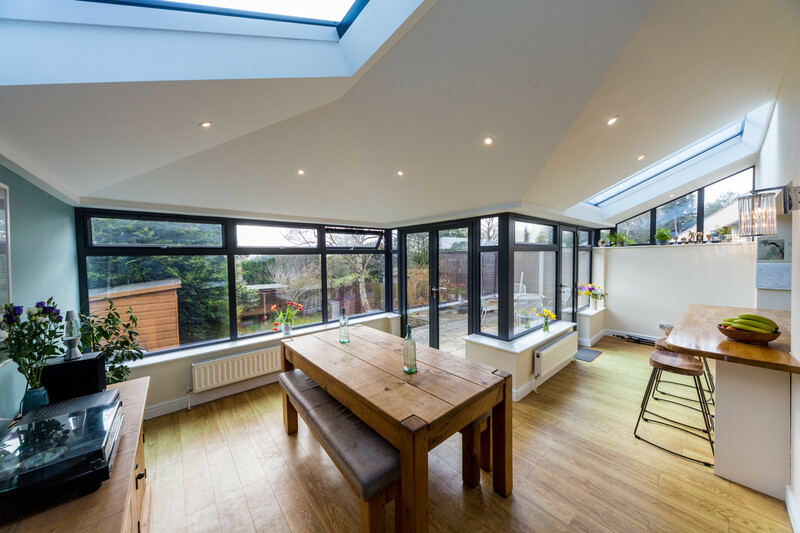 Research carried out by Ultraframe in February 2019 found that when consumers choose a tiled roof, as well as considering the aesthetic and thermal benefits, they want to feel that they are choosing something which is more like an extension, rather than a conservatory. 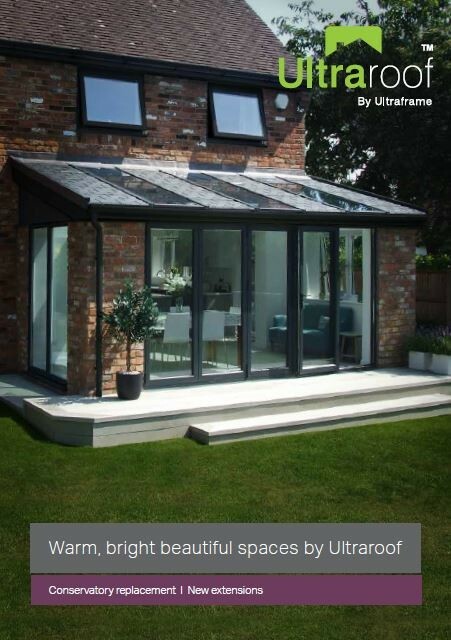 Unlike its competitors, Ultraroof is not based on conservatory roofing technology and its 380mm box beam means that no matter what the style or shape, Ultraroof will never need a tie bar – ever. The wide box beam also ensures that the eaves is always properly insulated and above it, air flows under the tiles, eradicating the risk of condensation which has the potential to be a problem on other systems. The consumers involved in the research were impressed with Ultraroof’s unique internal pelmet. This not only creates a spacious vaulted feel but also provides the perfect space to house speakers or downlighting. An extended soffit option further adds to the extension-like feel of the system, providing the perfect spot for lighting to be positioned on the exterior of the roof. As you would expect from an Ultraframe product, there are not just unique features, but technology that simply cannot be found anywhere else. This is true of Ultraframe’s new patented panel technology, boasting a standard U-Value of just 0.17, and 0.13 possible with minor intervention. Finally, Ultraroof is the lightest and easiest to handle tiled roof on the market due to its lightweight panel system and the banding system which allows for easy transportation and maneuverability during fitting. It’s also the strongest tiled roof system, with unsupported spans of up to 4m possible, making it ideal for bi-fold doors and avoiding the need for expensive structural supports. Safety has been a key consideration during the re-design of Ultraroof - as you would expect from Ultraframe. Following the Grenfell Inquiry, the findings stressed the importance of testing full systems - not relying on individual part certificates. While other systems rely on component fire certificates, Ultraframe believes that Ultraroof is the only replacement roof with a full ‘system’ fire certificate - offering complete peace of mind for both homeowners and installation companies.